EDI Shipping Software: With StarShip you can streamline the EDI process to provide a more seamless shipping to EDI experience! 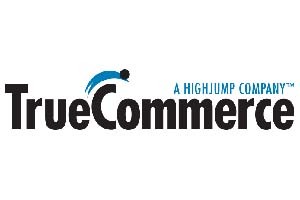 TrueCommerce Transaction Manager™ provides business system plug-ins for many of the same ERP systems as StarShip. This synergy has resulted in a collaboration between V-Technologies and HighJump that provides a direct connection between StarShip and Transaction Manager. This affords our mutual customers critical links between EDI, shipping, and ERP systems. MAPADOC EDI is a fully integrated solution for Sage 100 ERP, Sage 500 ERP and Sage X3. Sage customers benefit from access to MAPADOC’s EDI functionality without leaving the Sage system. StarShip is directly launched from within MAPADOC, providing a smooth transition between EDI, shipping, and ERP transactions. One connection to SPS Commerce gives you access to the retail industry’s largest trading partner network and powerful analytics that help identify opportunity. Take control of your relationships and growth potential with integrated EDI solutions that organize communications with every supplier, every time you ship.